George Clooney reveals in a new op-ed piece that one of his first acting jobs was playing a “male prostitute drug dealer” in a small Los Angeles play, and that the part was actually a “turning point” in his career. I just found an article with an interview with George where he mentioned that he played a male prostitute drug dealer in a play in L.A. and that's how he got an agent and also his SAG card from it. 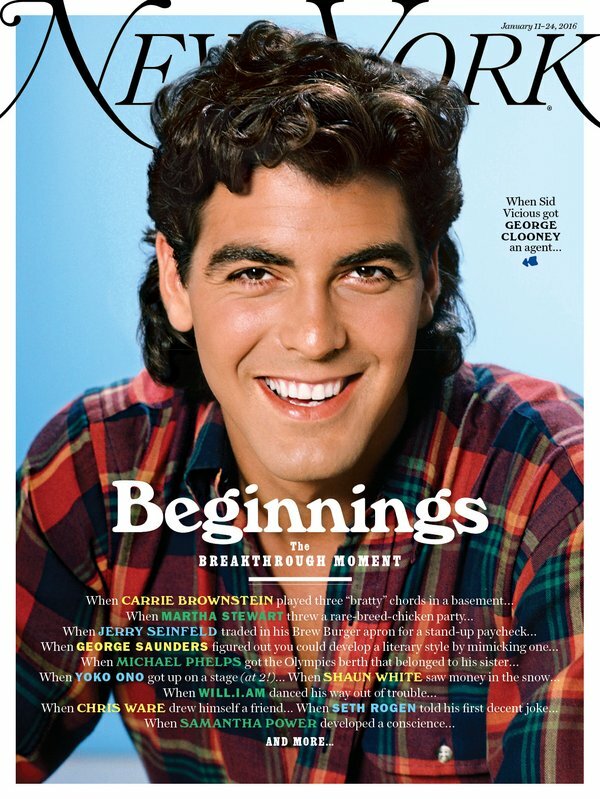 Love to see a young George magazine cover. I'd love to read the full interview. Thanks! I've merged the two threads. Wow, he's a brave man, allowing them to put this ancient picture on the cover of the magazine!! PR coup - expect to see this all over the internet. He is a cutie .